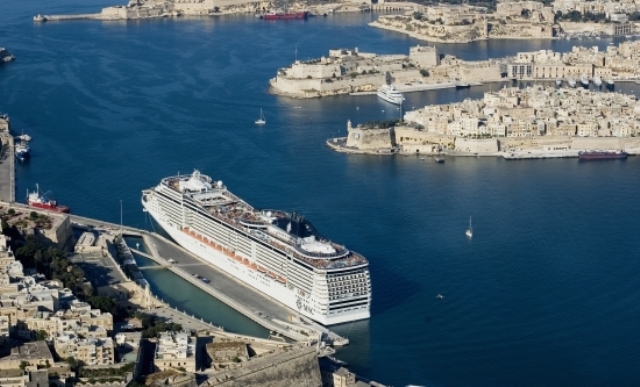 We are now taking bookings for cruises on the MSC Splendida up to April 2018, on various departure dates. You can check availability and prices by filling in the form below (email cruises@southafrica.to if you're experiencing difficulties, or phone 021-531-7453). 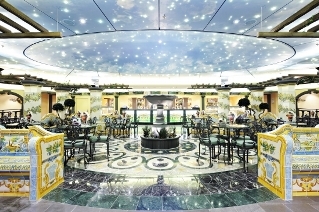 The MSC Splendida has a selection of beautiful restaurants each with a highlight of its own. The La Reggia Restaurant is characterised by its luxurious finishes and tablewear, and serves cuisine typical of a different region of Italy each night, accompanied with its local wines. 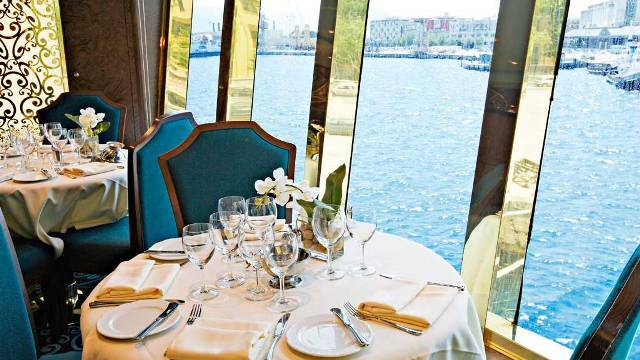 The Villa Verde Restaurant boasts a spectacular panoramic view from its position at the ship's stern, and serves food from a typically Mediterranean menu. The Sante Fe Tex Mex Restaurant is for those who enjoy a bit of spicy food. 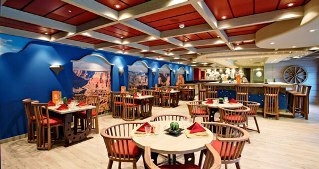 Serving food of Mexican origin, it adds further variety to the restaurant choices onboard the ship. The MSC Splendida also hosts the Purple Jazz Bar, which is completely inspired by jazz music; in its decor, selection of rare whiskies and cognacs, and of course its music. 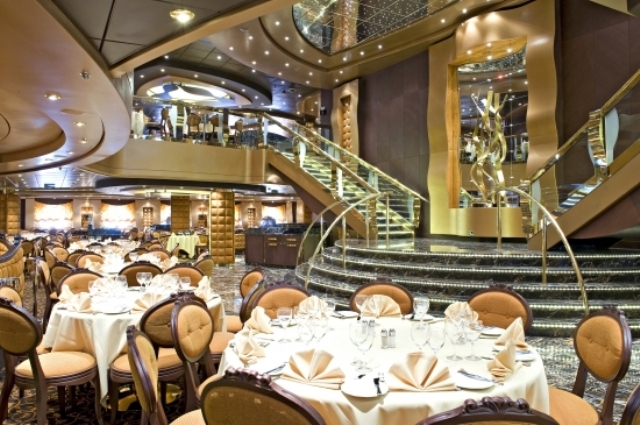 Guests can enjoy dessert heaven on board the Splendida. 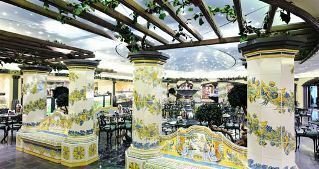 La Piazzetta houses a bar-style ice-cream parlour and pastry and chocolate shops. Choose from dishes such as reme bavaroise with almonds and berries, chocolate semifreddo, vanilla and rose macaroon cream, cannoli, baba and meringues. In terms of entertainment, the MSC Splendida provides for everyone. You will be kept busy every minute with the shows at The Strand Theatre, Club 33 Disco, Royal Palm Casino, Virtual World games room, sports facilities and a variety of pools and bars and lounges to choose from. 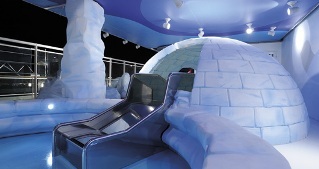 The kids will be kept busy with the Il Polo Nord Kids Area which hosts water slides and fun for the kids. For those guests looking for a more relaxing break, there is the Aurea Spa, specialising in the holistic water treatments famous in Roman times. The spa also offers massages, a sauna, a whirlpool, a Turkish bath and a solarium. Inside cabins - 13 to 16 square metres in size with the following amenities: all beds can be both single or double (on request), spacious wardrobe, bathroom with shower,interactive TV, telephone, availability of internet connection by your own laptop (on payment), mini bar and safe, air conditioning. Outside cabins - 12 to 20 square metres with all the same amenities as the inside cabins plus a window with an ocean view. 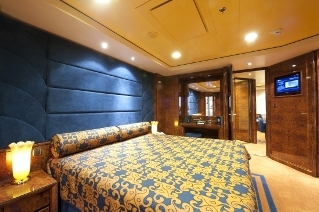 Balcony cabins - 17 to 30 square metres big with all the above-mentioned amenities plus a private balcony to the outside. Balcony suites - 33 square metres in size, these suites are spacious. The MSC Yacht Club is an exclusive area on board the MSC Splendida specially designed to provide members with 5-star treatment. 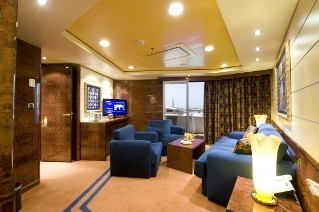 This special area contains 71 extra spacious suites with a 24 hour butler service. 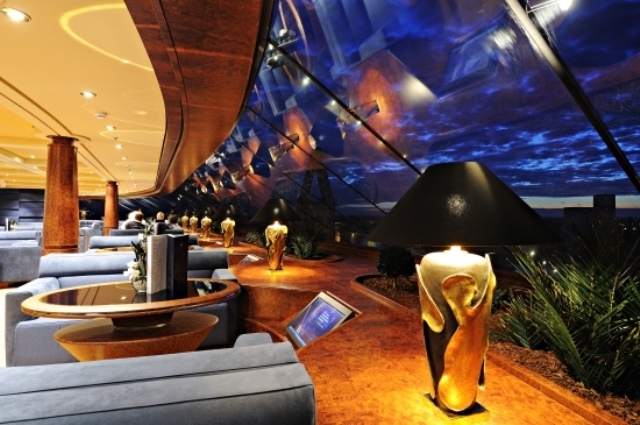 There is also the Top Sail Lounge, where guests can dine beneath the starry sky, through a skydome. 31 March 2018. 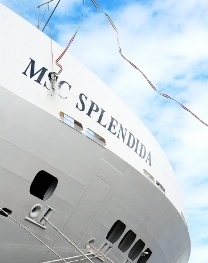 The MSC Splendida visited Japan, the first time an MSC Cruise ship was there. It was a 28 night trip from Dubai to Japan (Yokohama), leaving on the 31st March 2018. 14 August 2012 Video of a cruise on the MSC Splendida, mae to the taste of Jereme Leung, a well known chef. January 2012 - David cruised from Genoa around the Eastern Mediterranean and had this to say about his cruise on the MSC Splendida: "On the cruise I thought I would be bored but that's not the case; firstly walking round the ship would take 2 days or more, every night a programme was left on the bed telling you what was on the next day", and the "food was gorgeous ". 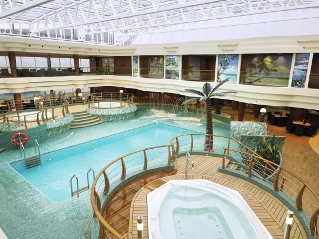 April 2012 - Chris cruised through the Eastern Mediterranean and had this to say about the MSC Splendida: "Splendida it is indeed, your first thought is the pure size as you see it in port and when on board it does not dissapoint,the public areas are always very clean and are up to 5 star hotel standard".